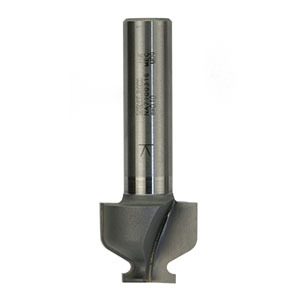 Wealden have designed a two flute TC tipped cutter for use on CNC machines to produce finger pull mouldings on MDF and timber doors and drawers to ensure a good grip recess even on 18mm or 22mm thick MDF. The cutter moulds the recess from the rear of the door and, when used with the separate rear insert, overcomes the issues associated with painting into the finger grip from the front. Inserts in contrasting materials may be used, offering the opportunity for unique designs and shapes. 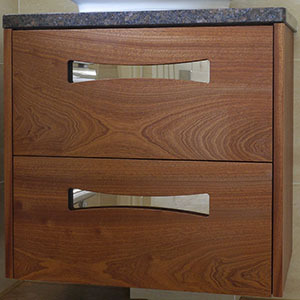 The cutter can be used to produce the normal handleless drawer edge or, alternatively, to create a recess towards the centre of the drawer or door.